Location. Cleanliness. Host was very hospitable bringing us gifts in abundance; baking, fruit, olive oil etc. 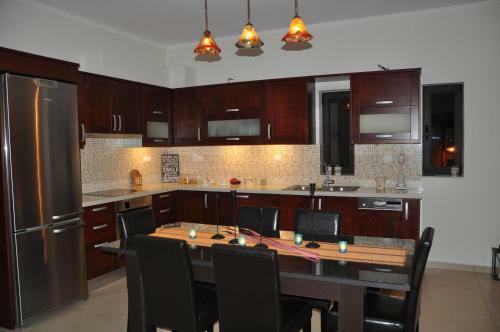 Modern attractive apartment everything we needed and close to beach. One minute from beach and restaurants. The friendliness of the owner, very thoughtful, with some lovely touches. Excellent location and really quite. The size of the apartment and the amenities. Cleanliness of the building. Decor and finish were really good. Security first rate. God value for money. Absolutely faultless place! Location is excellent. Hospitality,cleanliness and attention to the details were all top-notch. Highly recommended! upgraded by hosts, great experience and the apartment was absolutely stunning with a fantastic sea view. 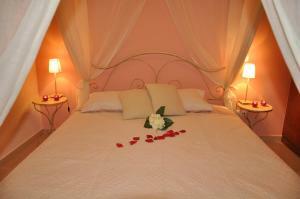 The size, comfort, ameneties, immaculate cleanliness, atmosphere and lovely roofterrace with a sea view were outstanding. A price/quality level this high we never experienced before. We booked a twin room with a sea view. For some reason they upgraded us to a 3 bed apartment with luxury kitchen and bathroom. 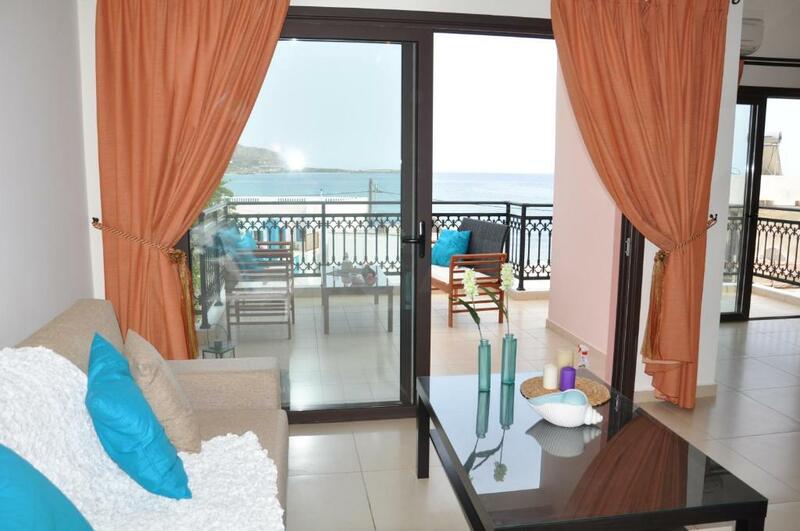 Beautiful living room and spacious balcony with sea view, it was like a palace. We were sorry to have to leave. Everyting was great. 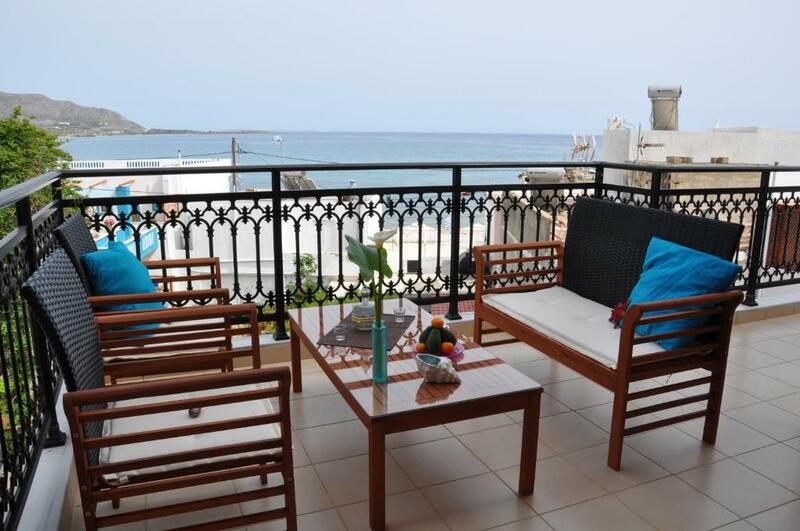 The size of the apartment was more than ample for us (3 adults), facilities and the balcony were all excellent. 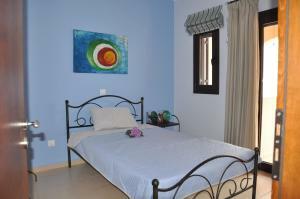 Location is only about 50 metres back from the beach and tavernas. The small harbour is only another 50 metres. There's a mini-market for grocery essentials only a short walk away and there are lovely views of the sea, mountains and their orchard. 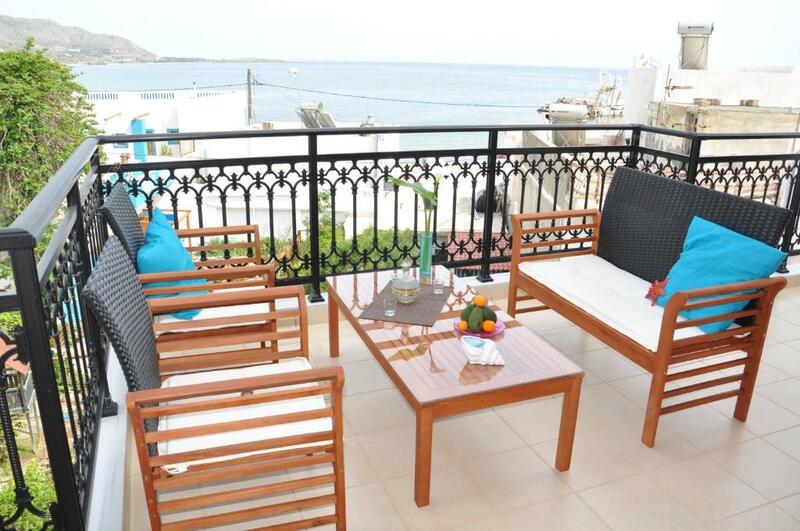 The apartment was very spacious, had a great sea view and is perfectly located. The hosts were very friendly and hospitable. We had the chance to experience Cretan hospitality in Porfyra's island. We had a cleaner coming every day and she was friendly too.The beach was 1 minute away and there were lots of tavernas and restaurants along the beach. There is an amazing gorge about 2 hours away from the house for people who like walking/ hiking. Lock in a great price for Porfyra's Island – rated 9.8 by recent guests! 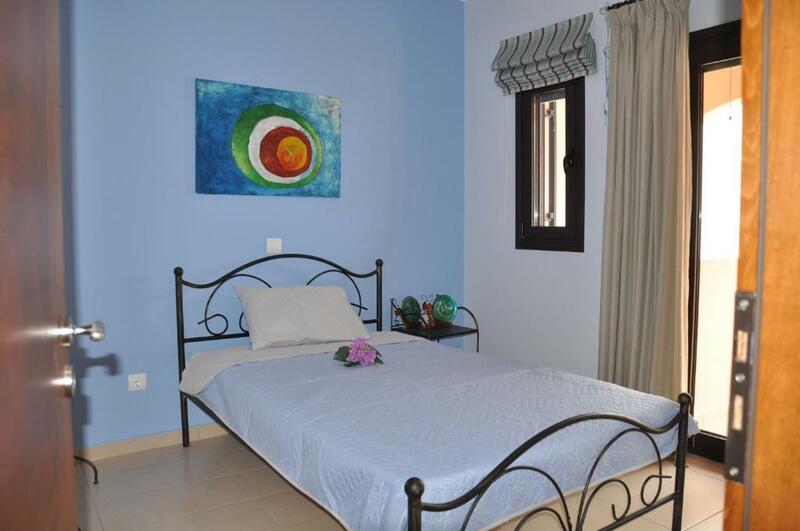 Just 100 feet from Makry Gialos Beach in Lasithi, Porfyra's Island offers self-catering accommodations with free WiFi and spacious balconies overlooking the Libyan Sea and the mountain. A garden and BBQ facilities are also available on site. Fitted with tiled floors, modern furnishings and wrought-iron beds, the apartments of Porfyra have an open-plan kitchen with seating and dining area. Each unit is air conditioned and equipped with a fridge, an electric oven with hobs and a flat-screen TV with CD/DVD player. Some units have a fireplace. Guests will find restaurants, bars and mini markets within a short walk from the property. The seaside Siteia Town is 21 mi away and Siteia National Airport is at a distance of 22 mi. Ierapetra Town is 16 mi away. Free on-site parking is possible. 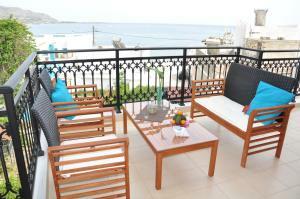 뀐 Located in the top-rated area in Makry Gialos, this property has an excellent location score of 9.8! When would you like to stay at Porfyra's Island? -a flat-screen TV with CD/DVD player. Please note that this unit is accessible to people with mobility issues. House Rules Porfyra's Island takes special requests – add in the next step! Porfyra&#39;s Island accepts these cards and reserves the right to temporarily hold an amount prior to arrival. Porfyra's Island accepts these cards and reserves the right to temporarily hold an amount prior to arrival. Everything was perfect. Location. Cleanliness. 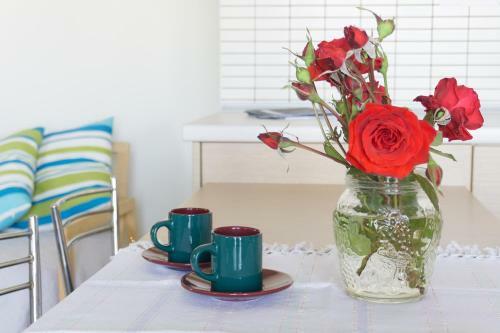 Friendliness of host and cleaner. Bedroom was too hot, and air conditioning too noisy. Need a canopy to assist keeping whole apartment cooler. Shower cubicle quite small. Balcony furniture was uncomfortable, needed more padding. There was nothing traditionally Greek about it. The parking was just about satisfactory but for only 3 or 4 cars and could be a problem in high season. The location was close to a tourist road but noise was not a real issue. The sea view was a bit restricted by other villas - but there was a sea view. Well, there could have been a shoe-rack, joking!!! There wasn't anything to not like, really. It was just beautiful. Everything you could wish for then more!. Everything was great. Well equpit apartment with a lovely view. We will sertently rent this apartment aigain.